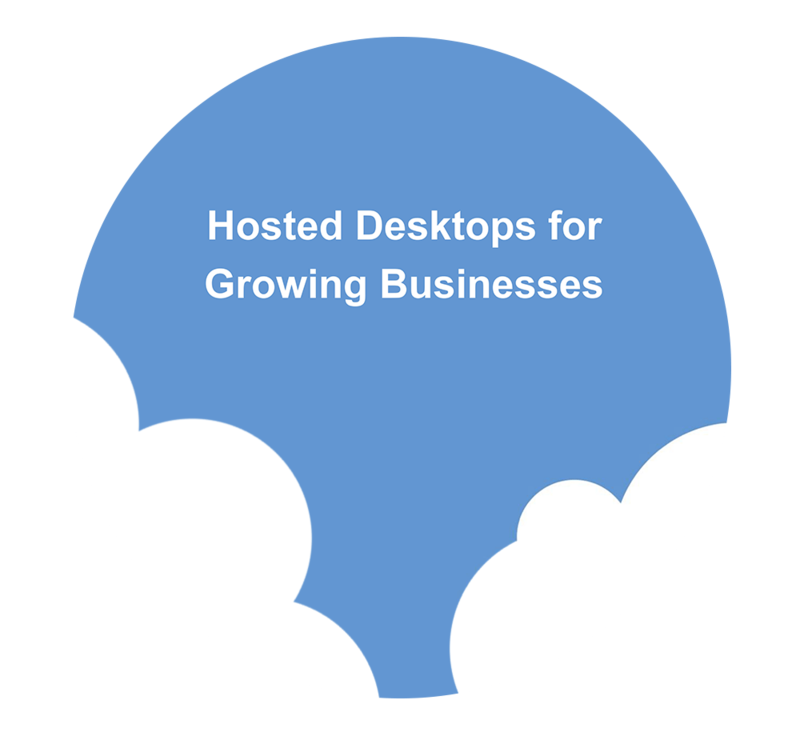 Hosted desktops, otherwise known as virtual desktops, allow you to work from anywhere in the world at any time, with an Internet connection and an Internet enabled device, basically your windows 7/8/10 platform will be hosted on our servers which is known as the cloud. 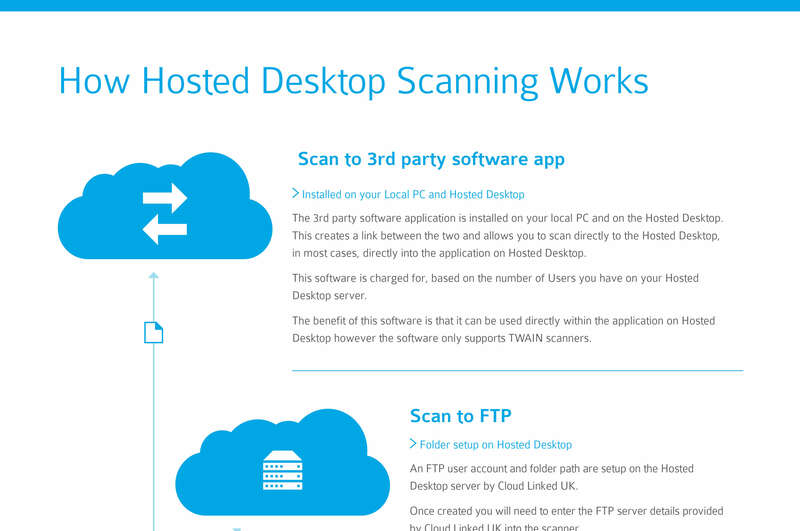 WHAT IS THE DIFFERENCE BETWEEN RDP AND A CITRIX HOSTED DESKTOP? 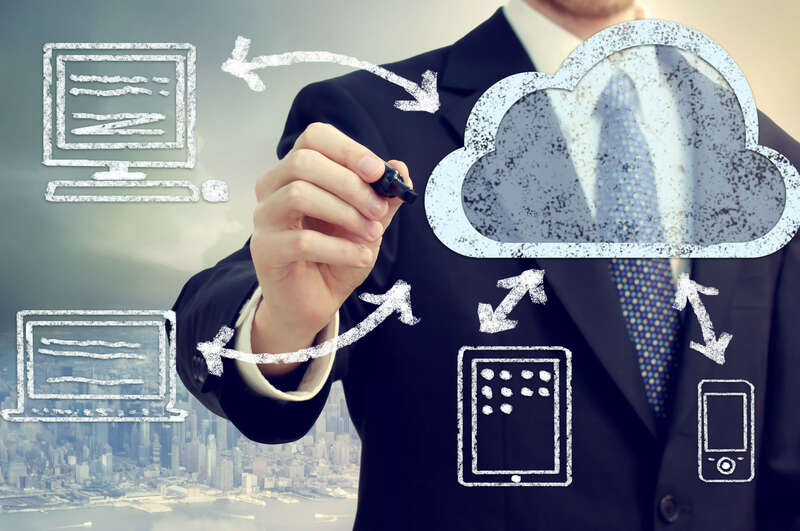 Citrix access technology for cloud desktop solutions offers higher speeds and has lower bandwidth requirements than the traditional RDP accessed solution. 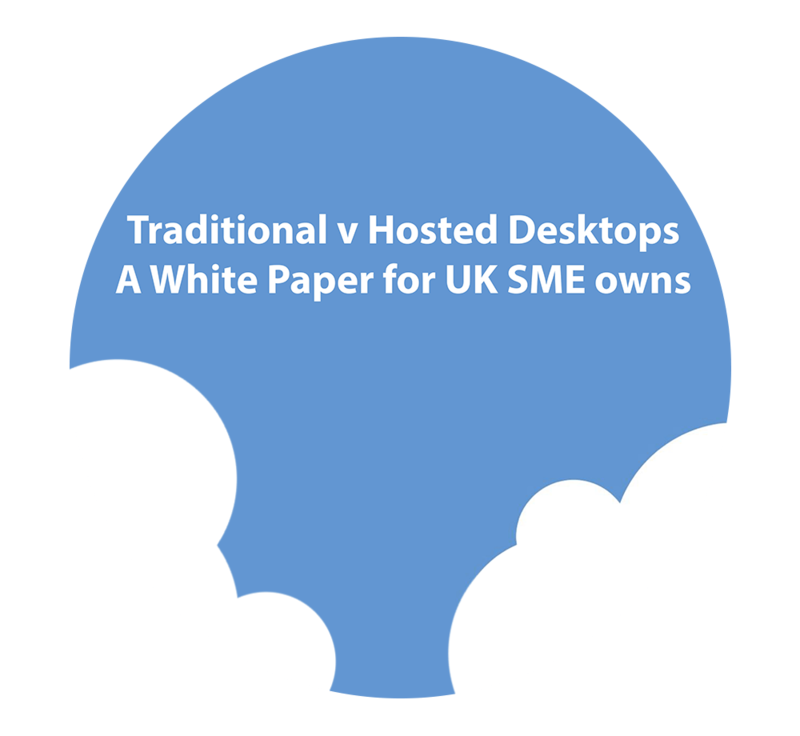 RDP style desktops are still an option if any would prefer, and in fact are still very popular with more traditional office based businesses that do not necessarily require all the bells and whistles that Citrix delivers. Citrix is less demanding on resources than RDP and can offer more for a client in terms of performance and stability. RDP, on the other hand, can be a more cost effective option, provided that a user does not use demanding programs which require a lot of computer resources such as graphic suites and editors. 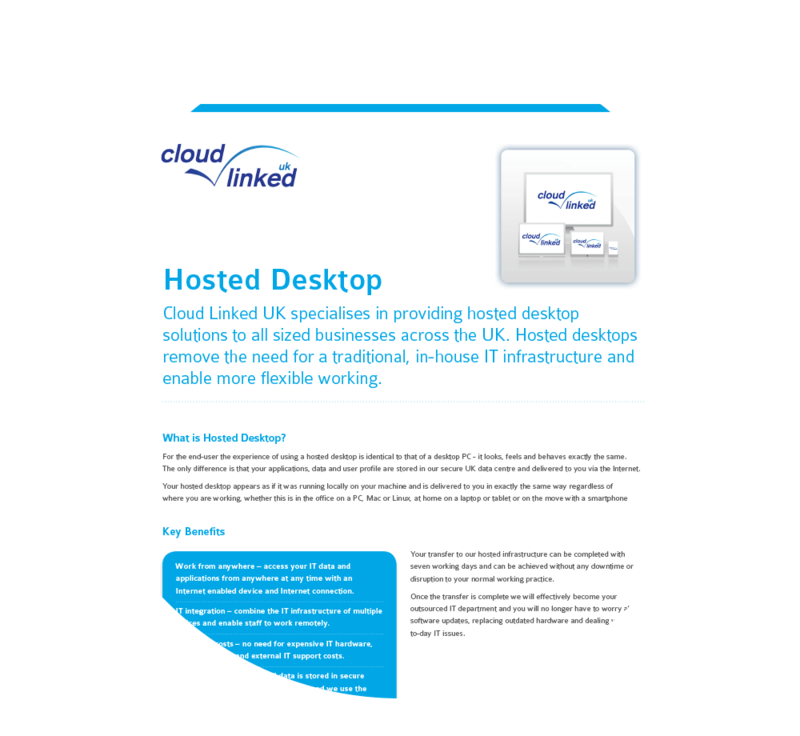 Email Cloud Linked UK enquiries@cloudlinkeduk if you need help in choosing RDP or Citrix desktop hosting. Virtual desktop infrastructure (VDI) is the practice of hosting a desktop operating system within a virtual machine (VM) running on a centralised server. VDI is a variation on the client/server computing model, sometimes referred to as server-based computing. The term was coined by VMware. 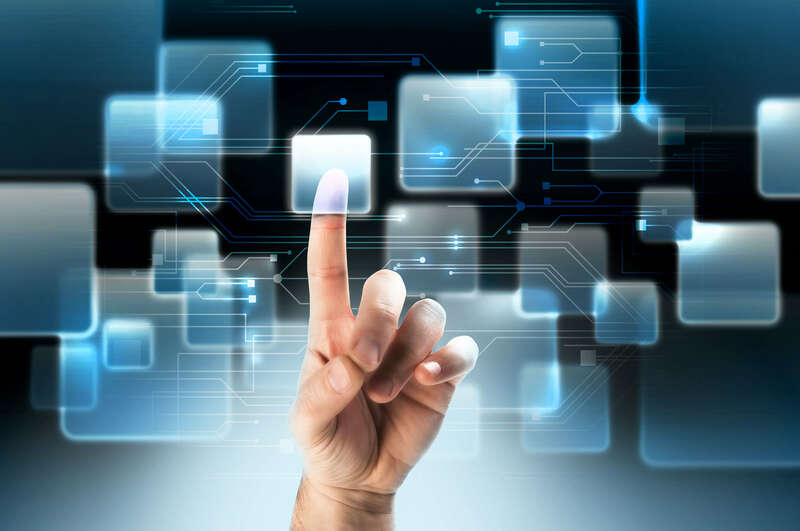 In the past couple of years, some large organisation have turned to VDI as an alternative to the server-based computing model. No, Cloud Linked UK hosted desktop does not have minimum subscription, each hosted desktop is on a month-to-month rolling contract. One of the benefits of the hosted desktop is the flexibility it gives your IT infrastructure in that it can be expanded or reduced rapidly to meet the seasonal demands on your business. A 30 day notice is required for any cancellations. No, you can use any PC, Mac or Linux machine to connect to your hosted desktop. One of the initial cost-savings is the ability to continue to use your existing PCs. As the processing power, RAM, and storage are provided by our servers you are even able to use older PCs that would be unable to run a new Operating System, thus extending their useful life. You may decide to purchase thin client machines which are cheaper than PCs, and would further enhance the benefits of moving to a hosted desktop environment. Thin clients are physically smaller PCs; they cost less than a normal PC, and use a lot less energy. Can I access my desktop at any time of the day? Yes. 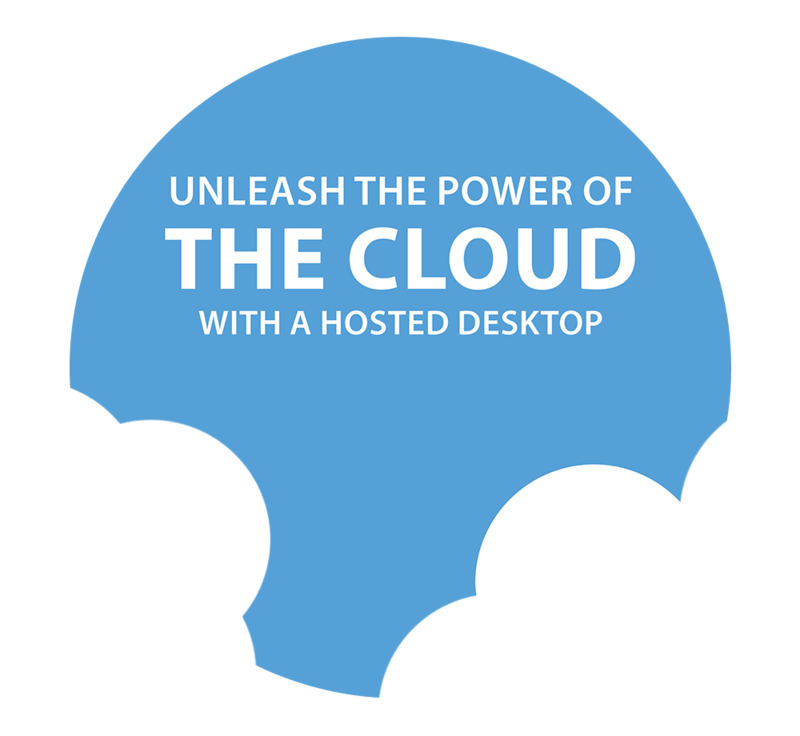 There is no restriction on when or where the hosted desktops can be accessed. Is all my data safe and backed up? Yes. 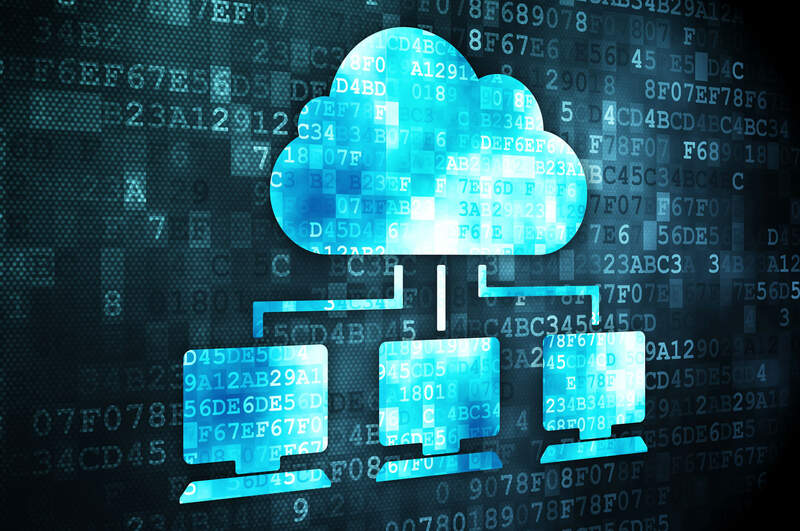 We backup all your server data to an offsite location, you can also if you choose, use our remote backup service to backup your hosted desktop through an automated backup system. Can I put my applications on the hosted desktop? Yes. 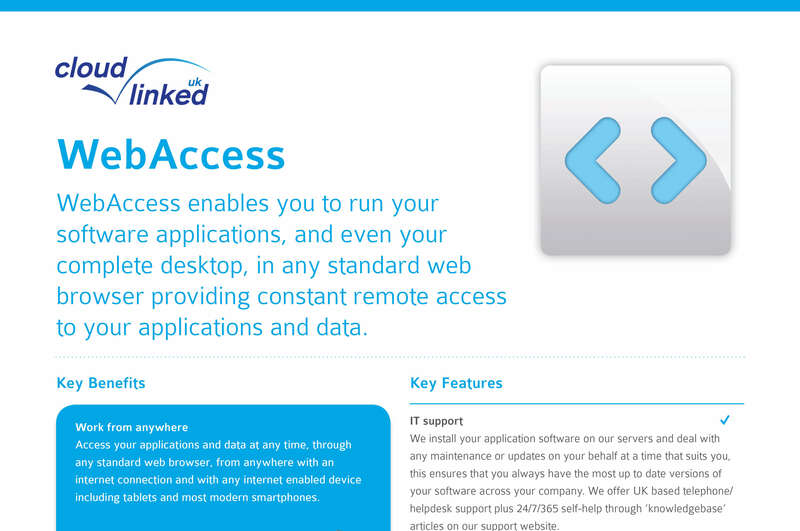 We can add almost any application to your network, and make it available on whichever desktops you choose. Please note it is your sole responsibility to ensure that you have the correct software licenses for use on a multi-user, hosted infrastructure. What if I cannot access my office PC? A Hosted desktop can be accessed where required from anywhere with an Internet connection, for example, your home, business centres with hot-desks, a client’s office and even hotel rooms; anywhere with an Internet connection, all connections to your remote hosted desktop are 100% encrypted, not just the log-on process. The first steps are to decide if a hosted desktop environment is suitable for your business. Our skilled team can discuss this with you and understand more about your business. We can then advise you of the potential benefits and possible drawbacks for your business. How do I order my hosted desktop? You can do this by calling 0800 058 2635 or emailing enquiries@cloudlinkeduk.com. We will then provide you with a form to complete and email back to us. We will then contact you to discuss your requirements in more detail and agree a solution for you. Once you are satisfied with the proposed solution, an engineer will work with you to setup and launch your services. Do I have to pay migration/setup costs? Yes. Setup costs for your hosted desktops costs between £25.00 and £50.00 per user, this will depend on the plan you choose. The Setup includes setting up and provisioning your hosted service, and providing you with the relevant access information for your users. Migration is a separate service which includes the migration of any business applications and data you require into your hosted environment, and a cost for migration can be agreed based on the initial consultation once we understand your requirements. Do you have a test environment for me to evaluate? Yes, we have a fully operational test environment for which access can be arranged on application during the sales process. As there may be a number of potential clients using this environment for evaluation purposes at any time, it has less user rights than a full hosted desktop and is regularly switched of for cleansing and updating. Can my current applications be moved to my hosted desktop? Yes, as long as these applications are compatible with Windows operating systems, and for clients on our 2008 environment, that the application supports 64bit. To date we have been able to host almost any application our clients have requested within their hosted desktop. We do not recommend moving certain media intensive applications such as CAD or Photoshop into the desktop though. Can I use the computers I already own? Absolutely yes, provided they support remote desktop services (RDS) which includes all Windows XP, Vista and Windows 7 machines. Alternatively, login can be done through a web browser (required Active-X to be enabled). Can I print to the printers in my office? Yes, if a printer is already setup for your machine to print to it, this will also apply to the hosted desktop when setup. How fast will my applications run? Typically, your applications will run faster than they normally do on your local desktop. This is because you are utilising powerful processors on the hosted server rather than that on your PC. You will also note that internet speeds and navigation are faster, as you are accessing via a secure 10gb link from the data centre rather than your lower speed local broadband service.